The engineering and design teams at Ford Motor Company led the development of the one-off 2015 F-35 Lightning II Edition Ford Mustang, which will be donated by Ford and sold at the Gathering of Eagles charity event. The event is held on Thursday, July 31, 2014 during the Experimental Aircraft Association (EAA) AirVenture Oshkosh 2014 – the World’s Greatest Aviation Celebration. All proceeds from the sale of the car will benefit the EAA Young Eagles program, which has provided free introductory flights to more than 1.8 million young people since 1992, helping inspire and motivate the next generation of leaders, aviators and innovators. Ford is the exclusive automotive sponsor of EAA AirVenture Oshkosh, held July 28 through Aug. 3 at Wittman Regional Airport in Oshkosh, Wis. The unique 2015 F-35 Lightning II Edition Mustang draws design cues from the Lockheed Martin F-35 Lightning II aircraft, the new joint forces strike fighter. The aircraft is the world’s most advanced multi-role fighter jet, providing unmatched capabilities to the military forces of the United States and its allies. 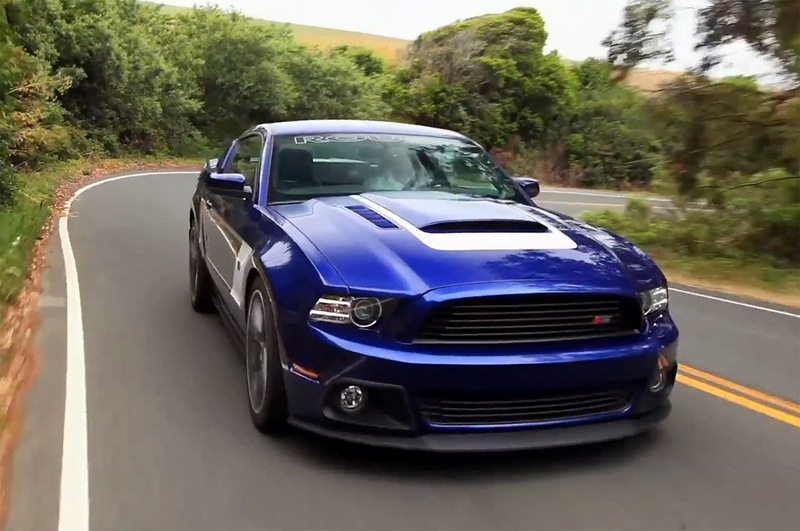 This one-of-a-kind sports car will be one of the first 2015 Ford Mustangs to be sold. The design of the modified Mustang GT fastback exudes a creative connection to the F-35 Lightning, while highlighting the new design features of the 2015 Mustang. Ford design manager Melvin Betancourt and Mustang chief engineer Dave Pericak led the design and engineering teams that developed this unique car. The exterior will showcase a customized glossy and matte titanium paint scheme with distinctive accents inspired by the blue and yellow lightning tail livery applied to the early production examples of the F-35. The bubble canopy of the stealthy F-35 features a distinctive gold tint designed to help minimize its radar signature – an appearance that is replicated on the windows of this Mustang. The springs of the Mustang GT performance pack have been replaced with Eibach units for a lower ride height and the exhaust system gets larger, ceramic-coated outlets. This Mustang rolls on a set of Forgiato-created custom 21-inch wheels to further differentiate it from anything else on the road. Additional elements include a carbon fiber front splitter, rear diffuser and rocker moldings, unique mirror skull caps and a vertically-enhanced rear spoiler. Exclusive interior details include a modified instrument cluster, Recaro® seats, custom audio system and floor mats embroidered with F-35 Lightning II elements and unique sill plates. The Young Eagles auction is part of the EAA Gathering of Eagles gala. The Gathering of Eagles annually draws more than 1,000 aviation enthusiasts in support of Young Eagles and other EAA programs that inspire young people to become engineers, aviators, astronauts, scientists and innovators – the aviation pioneers of tomorrow. The F-35 Lightning II Edition Mustang joins six other one-of-a-kind Mustangs created by the Ford design and engineering teams for the EAA Young Eagles auction. Ford vehicles donated at EAA AirVenture events have collectively raised more than $2.5 million to support the EAA Young Eagles. During EAA AirVenture, Ford will offer attendees access to the latest advances in automobile technology and feature exciting attractions and fan favorites at the Ford Hangar on the grounds of Wittman Regional Airport. Ford activities include top-tier entertainment and interactive components that will add excitement for the hundreds of thousands of aviation fans in attendance. To participate in the auction, candidates must prequalify by contacting the EAA development office at 800.236.1025 or development@eaa.org. The F-35 Lighting II Edition Mustang was modified by MAD Industries. Additional contributors to the project: AUNDE Corporation, Eibach Springs, 3D Carbon Fiber, BASF Automotive Refinish, Gibson Performance Exhaust, PIRELLI Tires, Forgiato Wheels, Rigid Industries LED Lighting, sPOD, MGP Caliper Covers, LGE-Paint, Madico, PIAA Corporation, APR Performance, FOCAL, The Source AV, Raceskinz, ODYSSEY Battery and Specialized Ceramic & Powder Coating. To stay connected to all Ford EAA AirVenture news, connect with the Ford EAA AirVenture team on Twitter at www.twitter.com/FordAirventure or visit www.FordAirventure.com. For more information on EAA AirVenture Oshkosh 2014, visit www.AirVenture.org. This entry was written by by Drew Phillips (Mustangs Daily) and posted here on Friday, July 25th, 2014 at 8:05 am and is filed under 2015 ford mustang, 2015 mustang, airventure, eaa airventure, f-35 mustang, News. This article was not written by us, rather gathered using RSS feeds listed here. We take no credit for this article. You can leave a response, or trackback from your own site. genuinely knows what they’re talking about on the web.